It appears that SONY really is going all in with Android because the details of this latest leaked phone sound extremely nice. This 4.55″ 1280 x 720p reality display packing smartphone is headed for AT&T with an awesome display and an equally impressive camera to snap some high quality beautiful photos. Leaked as the LT28at this phone could very well be their next flagship device and seen at CES 2012 coming up shortly. More details and photo samples below. The image above is a render of the recently leaked more than a few times known as the Nozomi. Its codename is LT26i so seeing LT28at for this latest leak leaves us to believe this new leak will in fact be their next big flagship device while the Nozomi will be the Arc HD. We don’t have a lot of details other than a few highly impressive specs on screen and camera, as well as a few sample photos snapped with that impressive 13 megapixel camera. 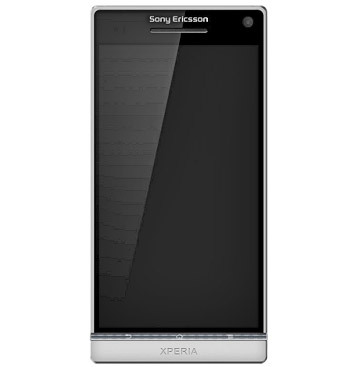 We’ll have a 4.55″ 1280 x 720p HD display, AT&T 4G LTE and a whopping 13 megapixel on the back and a 720p HD camera up front. No other details are really available at this time but we’ll take what we can get. Hopefully some pictures of the actual device will be leaked soon but for now at least we get a few image quality samples. I sure hope whoever is pictured doesn’t work for Sony Ericsson because he might just be in trouble now. Below are the photos snapped using the 13 mexapixel camera and for now this is all we get but we’ll be sure to update once we see or hear more.